There is a long archaeology of futures in the mobile telecoms industry, futures that have appeared with much fanfare, been forgotten, and then resurrected once more. The ‘watchphone’ (recently popularised by the Apple Watch) is perhaps the most recent example of a walking dead future, with a history and archaeology from decades past. There are others. This book chapter explores how the mobile telecoms industry creates enduring futures, a different way of thinking about its approach to technology innovation that does not focus on the ‘new’ but on the persistence of the ‘old’–a future archaeology of the industry. It’s taken a while, but it’s great to be part of this book collection from the seminal conference in 2011 at Wilfrid Laurier University, Waterloo, published by Routledge, and persistently edited by Andrew Herman, Jan Hadlaw, and Thom Swiss. So many fantastic colleagues are included (Alison Powell, Barbara Crow, Kim Sawchuk, Gerard Goggin, just to name a few). The book Theories of the Mobile Internet: Materialities and Imaginaries is part of the Routledge Studies in New Media and Cyberculture series, which is expensive, but get your library to order a copy. For details see the publisher’s page. Watts, L. (2014) Future Archaeology: Re-Animating Innovation in the Mobile Telecoms Industry. In Theories of the Mobile Internet: Materialities and Imaginaries, (Eds) Andrew Herman, Jan Hadlaw, and Thom Swiss. London, Routledge. 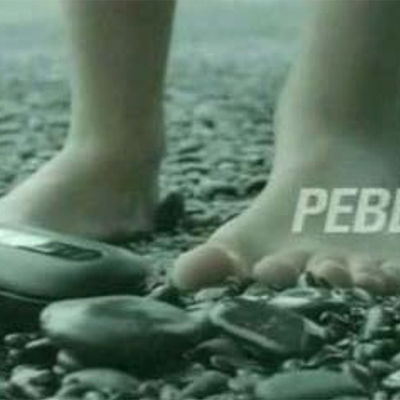 * Image of the Motorola PEBL, circa 2005.